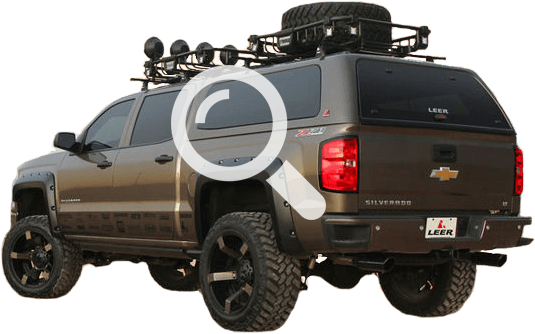 Bushwacker is now offering two styles of fender flares for the 2016 GMC Sierra 1500. The company’s offerings include its “OE” Style and Extend-A-Fender flares. The “OE” Style flares feature 0.75-inches of additional tire coverage, and the Extend-A-Fender flares feature 1.25-inches of tire coverage. Tire coverage is measured from the wheel well sheet metal out. Both flares are made from a smooth, 100% UV-protected Dura-Flex 2000 material, and feature an OE matte-black finish that, according to Bushwacker, won’t fade and can also be painted. The flares also feature easy instillation without having to cut the sheet metal. 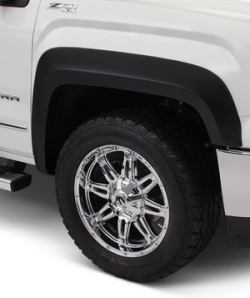 Bushwacker’s Fender Flares are covered by a limited lifetime warranty and are made in the USA. This info came from an article in the Feb issue of Truckin Times. Thanks Guys!